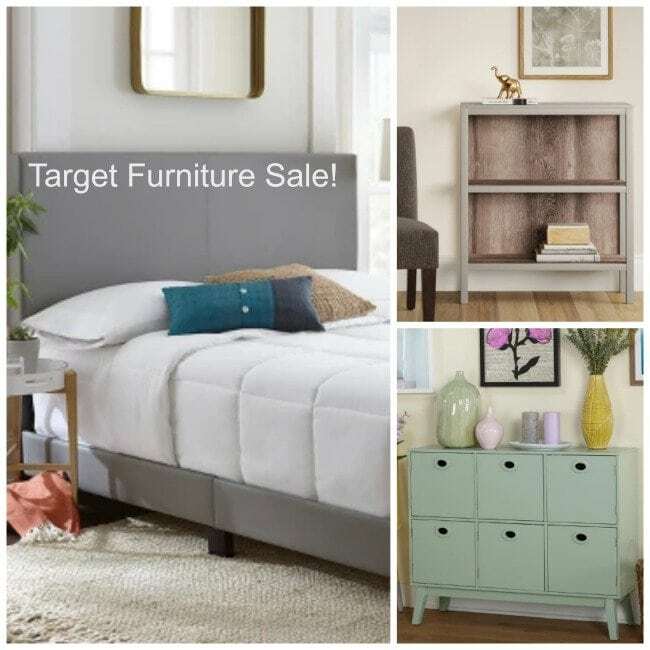 Target Furniture Sale – Super Clearance Deals & BOGO 50% Off Barstools! 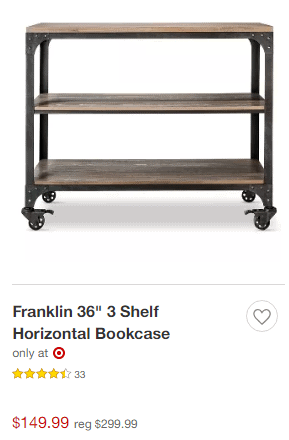 There is a pretty good Target furniture sale going on right now, where you can stack some savings opportunities and get some good prices on all kinds of Target furniture. To start with there is a sale on furniture at Target, on Bar Stools (Buy One Get One 50% off). 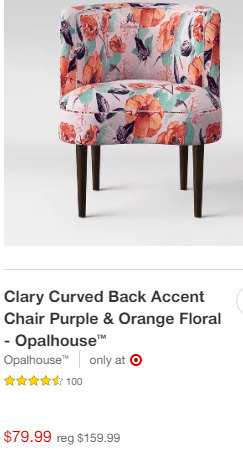 You can also shop the Target Furniture Clearance section here, for clearance prices, and we found some great prices (like twin headboards for $44 & more)! 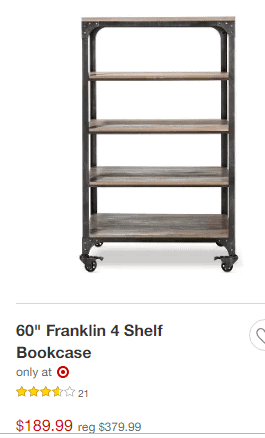 If you have shopped the Target Furniture sales before then you probably already know that when the sale is over, these prices really do jump back up. The clearance prices will usually last until those items sale out, but the buy one get one 50% off offers will go back up to regular price when the sale is over, so it is a great time to grab one of these items at big savings if your looking for some things for your house. 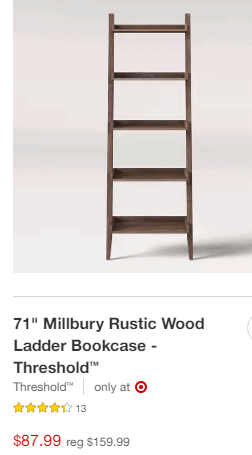 I was just looking at a similar style rustic bookshelves on castors at another store, but they were alot more money. Love the look of these! Find them on clearance prices here and here. 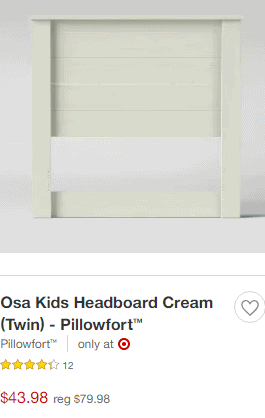 Twin Sized Headboard for just $43.95 (they have deals on larger headboards too). 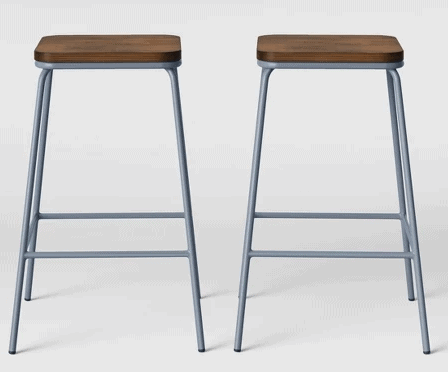 Bar stools are buy one get one 50% off right now! Accent Chair on sale for $79.99 (great price for a chair this size)! Find more of the Target furniture deals here too.